The high-performing vehicle that’ll equip you with everything you need to take on new adventures is the 2019 Honda HR-V. With bold styling you can see in the new Sport grille and available 18-inch alloy wheels as well as cozy and convenient interior amenities like the available leather-trimmed seats and touch-based automatic climate control system, this new Crossover SUV will have you making up reasons to go on trips, even ones to the grocery store 5 minutes away. We won’t blame you for that. Feel free to make yourself at home here at Honda Auto Center of Bellevue, where you can test drive it for the exceptional driving experience you deserve! The HR-V looks spectacular on screen, but the view of it in person is unparalleled. Take in its sleek and bold exterior and then slip into its cozy, refined interior space in your scheduled test drive at our new and used Honda dealership. 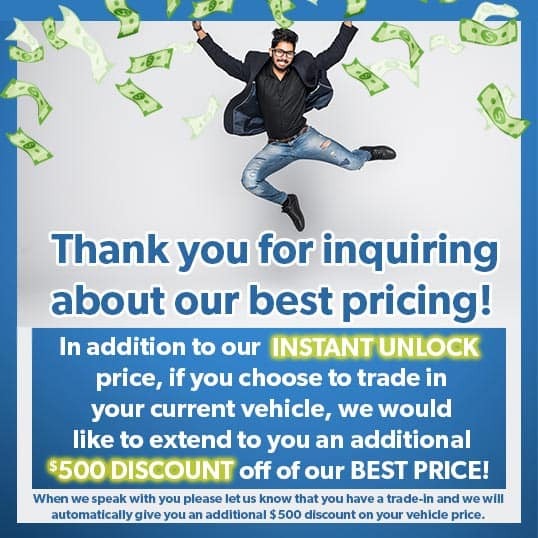 Our knowledgeable sales associates are highly-educated on each of the Honda sedans, SUVs and trucks available in our large selection of new cars for sale and they are ready to provide you with the attentive, stress-free and fun car-shopping experience you deserve! Interior Features: Air Conditioning with Air-Filtration System, Power Door Locks, Power Windows with Auto-Up/Down Driver's Window, Illuminated Driver's Window and Door Lock Controls, Cruise Control, One-Touch Turn Indicators, Tilt and Telescopic Steering Column, High-Deck Center Console with Sliding Armrest and Storage Compartment, Beverage Holders, Sliding Sunvisors, Map Lights, LED Pocket Light, 12-Volt Power Outlet (front/2nd-row), Passenger-Side Seatback Pocket, Passenger-Assist Grips (front/rear), Driver-Side Garment Hook, Remote Fuel Filler Door Release, Rear-Seat Heater Ducts, Rear-Window Defroster, Floor Mats, Door-Pocket Storage Bins (front/rear), Cargo Area Tie-Down Anchors, Cargo Area Light, Illuminated Steering Wheel-Mounted Controls, Chrome Door Pulls, Driver's and Front Passenger's Vanity Mirrors. Exterior Features: Two-Speed Intermittent Windshield Wipers, Projector-Beam Halogen Headlights with Auto-Off, Fin-Type Roof-Mounted Antenna, Security System with Remote Entry, Body-Colored Rear Roofline Spoiler, LED Brake Lights, Reverse-Linked Intermittent Rear Window Wiper/Washer, Body-Colored, Power Side Mirrors. Interior Features: Air Conditioning with Air-Filtration System, Power Door Locks, Power Windows with Auto-Up/Down Driver's Window, Illuminated Driver's Window and Door Lock Controls, Cruise Control, One-Touch Turn Indicators, Tilt and Telescopic Steering Column, High-Deck Center Console with Sliding Armrest and Storage Compartment, Beverage Holders, Sliding Sunvisors, Map Lights, LED Pocket Light, 12-Volt Power Outlet (front/2nd-row), Passenger-Side Seatback Pocket, Passenger-Assist Grips (front/rear), Driver-Side Garment Hook, Remote Fuel Filler Door Release, Rear-Seat Heater Ducts, Rear-Window Defroster, Floor Mats, Door-Pocket Storage Bins (front/rear), Cargo Area Tie-Down Anchors, Cargo Area Light, Illuminated Steering Wheel-Mounted Controls, Chrome Door Pulls, Driver's and Front Passenger's Vanity Mirrors, Sport Pedals, Leather-Wrapped Steering Wheel and Shift Knob. Exterior Features: Two-Speed Intermittent Windshield Wipers, Projector-Beam Halogen Headlights with Auto-Off, Fin-Type Roof-Mounted Antenna, Security System with Remote Entry, Body-Colored Rear Roofline Spoiler, LED Brake Lights, Reverse-Linked Intermittent Rear Window Wiper/Washer, Gloss Black Body-Colored, Power Side Mirrors, Roof Rails, Exhaust Finisher, Fog Lights, Gloss Black Underbody Spoilers. Interior Features: Power Windows with Auto-Up/Down Driver's Window, Illuminated Driver's Window and Door Lock Controls, Cruise Control, One-Touch Turn Indicators, Tilt and Telescopic Steering Column, High-Deck Center Console with Sliding Armrest and Storage Compartment, Beverage Holders, Sliding Sunvisors, Map Lights, LED Pocket Light, 12-Volt Power Outlet (front/2nd-row), Passenger-Side Seatback Pocket, Passenger-Assist Grips (front/rear), Driver-Side Garment Hook, Remote Fuel Filler Door Release, Rear-Seat Heater Ducts, Rear-Window Defroster, Floor Mats, Door-Pocket Storage Bins (front/rear), Cargo Area Tie-Down Anchors, Cargo Area Light, Illuminated Steering Wheel-Mounted Controls, Chrome Door Pulls, Illuminated Driver's and Front Passenger's Vanity Mirrors, Automatic Climate Control with Electrostatic Touch-Screen, Push Button Start, Programmable Power Door Locks. Exterior Features: Projector-Beam Halogen Headlights with Auto-On/Off, Fin-Type Roof-Mounted Antenna, Security System with Remote Entry, Body-Colored Rear Roofline Spoiler, LED Brake Lights, Reverse-Linked Intermittent Rear Window Wiper/Washer, Body-Colored, Power Side Mirrors, Roof Rails, Exhaust Finisher, Fog Lights, One-Touch Power Moonroof with Tilt Feature, Smart Entry with Walk Away Auto Lock®, Heated, Body-Colored Power Side Mirrors with Integrated Turn Indicators, Rear Privacy Glass, Variable Intermittent Windshield Wipers. Interior Features: Power Windows with Auto-Up/Down Driver's Window, Illuminated Driver's Window and Door Lock Controls, Cruise Control, One-Touch Turn Indicators, Tilt and Telescopic Steering Column, High-Deck Center Console with Sliding Armrest and Storage Compartment, Beverage Holders, Sliding Sunvisors, Map Lights, LED Pocket Light, 12-Volt Power Outlet (front/2nd-row), Passenger-Side Seatback Pocket, Passenger-Assist Grips (front/rear), Driver-Side Garment Hook, Remote Fuel Filler Door Release, Rear-Seat Heater Ducts, Rear-Window Defroster, Floor Mats, Door-Pocket Storage Bins (front/rear), Cargo Area Tie-Down Anchors, Cargo Area Light, Illuminated Steering Wheel-Mounted Controls, Chrome Door Pulls, Illuminated Driver's and Front Passenger's Vanity Mirrors, Leather-Wrapped Steering Wheel and Shift Knob, Automatic Climate Control with Electrostatic Touch-Screen, Push Button Start, Programmable Power Door Locks, Automatic-Dimming Rearview Mirror. Interior Features: Power Windows with Auto-Up/Down Driver's Window, Illuminated Driver's Window and Door Lock Controls, Cruise Control, One-Touch Turn Indicators, Tilt and Telescopic Steering Column, High-Deck Center Console with Sliding Armrest and Storage Compartment, Beverage Holders, Sliding Sunvisors, Map Lights, LED Pocket Light, 12-Volt Power Outlet (front/2nd-row), Passenger-Side Seatback Pocket, Passenger-Assist Grips (front/rear), Driver-Side Garment Hook, Remote Fuel Filler Door Release, Rear-Seat Heater Ducts, Rear-Window Defroster, Floor Mats, Door-Pocket Storage Bins (front/rear), Cargo Area Tie-Down Anchors, Cargo Area Light, Illuminated Steering Wheel-Mounted Controls, Chrome Door Pulls, Illuminated Driver's and Front Passenger's Vanity Mirrors, Leather-Wrapped Steering Wheel and Shift Knob, Automatic Climate Control with Electrostatic Touch-Screen, Push Button Start, Programmable Power Door Locks, Automatic-Dimming Rearview Mirror, HomeLink® Remote System. Exterior Features: Fin-Type Roof-Mounted Antenna, Security System with Remote Entry, Body-Colored Rear Roofline Spoiler, LED Brake Lights, Reverse-Linked Intermittent Rear Window Wiper/Washer, Body-Colored, Power Side Mirrors, Roof Rails, Exhaust Finisher, LED Fog Lights, Body-Colored Underbody Spoilers, One-Touch Power Moonroof with Tilt Feature, Smart Entry with Walk Away Auto Lock®, Heated, Body-Colored Power Side Mirrors with Integrated Turn Indicators, Rear Privacy Glass, Variable Intermittent Windshield Wipers, LED Headlights with Auto-On/Off.